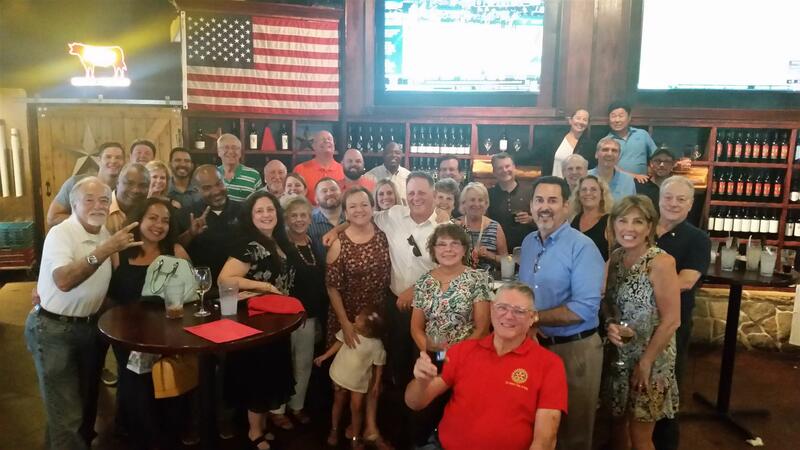 The Rotary Club of Katy surprises fellow Rotarian with a going away party as she prepares for her move. We are fortunate to have everyone come through our club. There are those make lasting impressions on you and become life-long friends. Then there's people like Patty Hinojosa. Patty came to our club a little over 2 years ago and immediately went to work. She filled in when there were gaps, brought amazing ideas to the table and was always willing to take on a challenge. Unfortunately for us, Patty has an amazing opportunity to take on a new role with her company. We are so excited for her, but saddened that she will be relocating to another city. We had fun time celebrating with our club at Texas Mesquite Grill. Patty, the Rotary club you transfer to will be lucky to have you. We part knowing that we aren't just fellow Rotarians or friends. You are family. Best of luck on your new endeavours.